New Page Books, 9781632650658, 288pp. The media's role in disclosure and denial. The Air Force, FBI, CIA, and NSA's involvement. Educator and sociologist Kathleen Marden is Betty Hill's niece and trustee of her estate. She has all of Hill's papers and correspondence, and has transcribed the tapes of the Hills' hypnosis sessions with psychiatrist Dr. Benjamin Simon. Marden has also met with the numerous scientists who investigated the case. For the past 10 years, she has served on the Board of Directors of the Mutual UFO Network, the largest International UFO organization and as director of Field Investigator Training for MUFON. Marden lives in Stratham, New Hampshire. 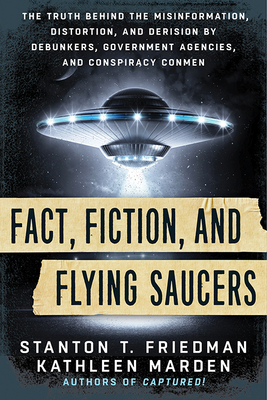 "Finally, an excellent, in-depth book that gets to the heart of how, and why, the UFO subject has been smeared, ridiculed, and targeted by disinformation agents." "I have had the pleasure of working with Kathleen Marden for over 20 years in various roles in MUFON. She is absolutely 100% committed to solving the UFO riddle. One thing is certain, and that is when the answer is finally known, Ms. Marden will be at the forefront of researchers who made it happen. Her works are required reading for any researcher seeking the truth behind the UFO phenomenon."